The equivalent of Superman 64 in RTS form? There have been many entries in the RTS genre. The most notable games of this genre included; Command & Conquer; Star Craft; and Age of Empires. 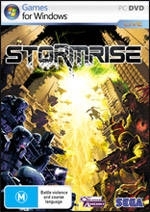 Stormrise is a game that attempts to innovate the basic control scheme in RTS games by adding new unit selection techniques and changing the philosophy of the hero characters. Unfortunately to many RTS fans dismay, Stormrise fails to accomplish this task while failing on many other levels as well. One of the major disappointments in the game is the story. 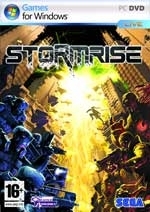 Stormrise is set in a post-apocalyptic world where humanity destroyed the planet by abusing the ability to control nature. While you take the role of Commander Aiden Geary, a leader in the Echelon special forces, his great introduction and minor back-story is quickly forgotten as the plot for this game is promptly thrown out the window. The premise for this game is essentially a story of two races of humanoids fighting for survival. The Echelon is a race of regular human beings that put themselves into stasis while "The Event" or destruction of the world took place. The Sai is an evolved race of humans who were left to face The Event on the outside. The Sai evolved into beings with extrasensory abilities. This is sadly all it comes down to. At certain points it appears that there were some attempts at merging the various plots but, since there is no success on this front, it is pointless to even try to make up how the story is supposed to unfold for the player. What caused "The Event" was humanity's constant tampering with Earth's climates. The eventually caused the Earth's ecosystem to revert the Earth into a ball of fire and molten lava. This could have been a very good starting point for the plot if it went into more detail of the Sai's evolution and history while the Echelon laid dormant. This is where the story fails most plainly: it doesn't give you a single point in time where you can piece anything together. Each mission starts you off with a small bit of background of "this is what happened" or "this is who that enemy is" otherwise a mission is just a continuation of the last. Its almost as if, while producing this game, the higher-ups told each member of staff to write a small paragraph to add to the story, threw it all in a hat, and pulled a makeshift story out of the random paragraphs they pulled out. There is no rhyme or reason for half of the things you are told. Why should anyone care if your partner for one of the missions, during some peace treaty signing that failed, decided to hit on one of the Sai representatives because he thought she was a wild drunk who just happens to be the enemy for this mission? It would be more effective to tell the story about events leading up to the peace signing, or better yet tell the story of how Commander Geary can help set up another peace treaty signing. Instead we are given irrelevant side-stories as if they are the main plotline. The gameplay is the primary part of this game that can be called decent. It is decent because it attempts to innovate and improve the gameplay mechanics that have become the norm in the RTS genre. Sadly it doesn't work as well as intended. When selecting your units you are instantly stuck to that unit. The camera is not able to freely be moved around the map. You can still zoom out and see a broader view of the battlefield, but you will be using the default zoomed in view 99% of the time. This is where the "Whip System" comes into play. The Whip System is a quick unit select tool mapped to your mouse. It allows for quick and almost painless selection of all your units and structures on the battlefield. The only flaw to this is that it is way to easy to select the wrong units since if you wipe into a small area containing a bunch of units you have to be careful of not selecting the incorrect units. This is a problem because in most other RTSs you could select multiple units at once with a few keys without worrying about screwing up your selection. There is one good part about this system though, you can still control individual squads by holding shift and dragging an arrow from another squad to a location you want them to go. The Whip System isn't the only flaw in the gameplay. You can group various units together to form squads. Even during the beginning of the story mode where it teaches you to use the ability to group and separate your units it doesn't work well. When you press the A key to group units you are supposed to be able to click the squad icon in-order merge them. It works but unfortunately most of the time it groups the wrong units together even though you just attempted to group three sets of identical units together. You will most likely end up having whatever units that is closest to where you merged into that group meaning you probably have snipers or your heavy assault troop in your newly formed unit. Separating the group is even less intuitive. You cannot just kick out one specific group of units. You hit the S key and the entire group splits. From what I can tell there is no way to prevent it. There isn't much more that can be said for the gameplay. Maps are laid out decently, making it so you have to plan out your assault on an enemy. Units are virtually the standard RTS fare: there are scout units, light, heavy, and vehicle units. There are even hero units, but unfortunately they are nearly worthless since you can easily get by without even needing your heroes which shows how unbalanced this game is. One of the biggest problems with this game is that the game is bug ridden. Getting your enforcer units over or on top of obstacles can be a chore since there is a good chance they will fall through and get stuck. This can be really annoying since the later battles in the story mode can rely on the ability to scale stacks of boxes, stairs, or other objects with your enforcer units to get the upper hand. Another issue with this game is that your units are pretty dumb. Unlike most RTS games where if your units are attacked when going someplace they tend to stop and defend themselves the units in the game would rather walk right past a group of enemies and get gunned down. Of course there are game modes other than story mode. The Skirmish gametype allows you to select a map and face the enemy in combat with whatever rules you decide to set for that map. Rule changes can consist of starting energy supply, unit use, and build speed. The other is online multiplayer, sadly this is the part of the game I couldn't review. There is no one playing this game online at all. Audio is another issue. It isn't the worst, it still can get annoying though. There is a bit of a sound track in there but really it could make your ears bleed so turning it off is a good idea. Past that there are all the sound effects. Characters all have annoying personalities. Some are whiny while others seem to be complete jerks. Even Aiden's voice and dialog are bad, considering that he is the main character of the game. The only thing done well would be vehicle, mech and aircraft, due to the fact their sound effects just fit perfectly. When a mech's foot hits the ground, for example, it gives a slight thud noise which is exactly what you would expect a mech's foot step to sound like. Lucky for this game the presentation isn't all that bad. Since this version of this game game was built for Direct X 10 only it does take advantage of some its features. Lighting in areas is handled capably. Walking into a tunnel does give you a somewhat realistic feel thanks to the lighting. 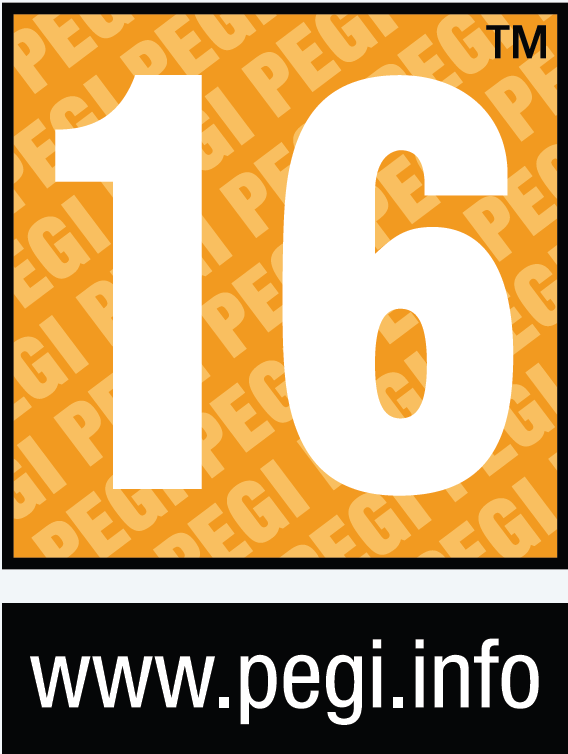 Unfortunately this game drops in framerate quite often, showing the game engine's poor optimization. The PC used for this review might not have the top-of-the-line PC but it shouldn't have experienced framerate drops at all especially since the processor was overclocked to 3.2GHz and GPU about 5% just to make sure the PC wasn't at fault. As previously stated in a few paragraphs there are some massive visual glitches in the maps. This unfortunately makes the story mode nearly unplayable. Overall this RTS isn't good enough to really recommend to anyone. This game is the Superman 64 of the RTS genre. With all the game's glitches and insanely poor gameplay I'd suggest purchasing a different RTS. If the Whip System worked, this game could have been considered an evolutionary step for the RTS genre, but the obvious lack of quality control prevented this game from becoming even a cult classic. Still, this game could easily be lumped in as one of the worst games in history joining the likes of ET for the Atari 2600 or Superman 64. 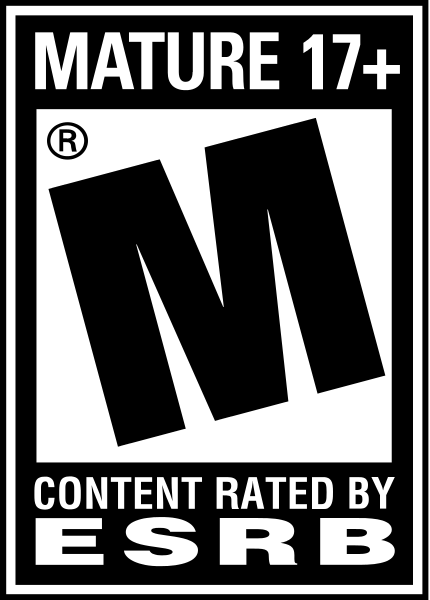 That, of course, is one way to make your game recognized the world over.